Context - Water is essential for human survival and well-being and important to many sectors of the economy. However, resources are irregularly distributed in space and time, and they are under pressure due to human activity. 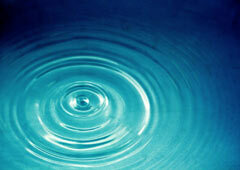 How can water resources be managed sustainably while meeting an ever increasing demand? Around the world, human activity and natural forces are reducing available water resources. Although public awareness of the need to better manage and protect water has grown over the last decade, economic criteria and political considerations still tend to drive water policy at all levels. Science and best practice are rarely given adequate consideration. Pressures on water resources are increasing mainly as a result of human activity – namely urbanisation, population growth, increased living standards, growing competition for water, and pollution. These are aggravated by climate change and variations in natural conditions. The world’s water exists naturally in different forms and locations: in the air, on the surface, below the ground, and in the oceans. Freshwater accounts for only 2.5% of the Earth’s water, and most of it is frozen in glaciers and ice caps. The remaining unfrozen freshwater is mainly found as groundwater, with only a small fraction present above ground or in the air. 2.2 Glaciers store water as snow and ice, releasing varying amounts of water into local streams depending on the season. But many are shrinking as a result of climate change. River basins are a useful “natural unit” for the management of water resources and many of them are shared by more than one country. The largest river basins include the Amazon and Congo Zaire basins. River flows can vary greatly from one season to the next and from one climatic region to another. Because lakes store large amounts of water, they can reduce seasonal differences in how much water flows in rivers and streams. The average amount available per person varies from less than 50 m3 per year in parts of the Middle East to over 100 000 m3 per year in humid and sparsely populated areas. The United Nations has kept a country by country database of such estimates for several decades. Or view the entire table of 193 countries. 4.3 The effects of extracting too much water, both from surface waters and groundwater, have been dramatic. A striking example is the drastic reduction in size of the Aral Sea and Lake Chad. Little is being done to address the causes, which include poor water management practices and deforestation. 5.1 Rainwater has been collected for thousands of years in many parts of the world. Today, this technique is used in Asia to replenish underground supplies. It is relatively inexpensive and has the advantage of allowing local communities to develop and maintain the required structures themselves. Diverting surface water into the ground can help reduce losses from evaporation, compensate for variations in flow, and improve quality. Middle East and Mediterranean regions are applying this strategy. Dams and reservoirs have been built to store water for irrigation and drinking. Moreover dams can provide power and help control floods, but they can also bring about undesirable social and environmental impacts. 6.1 Using water resources sustainably is challenging because of the many factors involved, including changes in climate, the natural variability of the resource, as well as pressures due to human activity. To assess the state of our water resources, we must fully appreciate the roles of different parts of the water cycle – such as rain, meltwater from glaciers, and so on. Otherwise, it remains difficult to develop adequate protection and mitigation strategies. 6.2 When managing water resources, more attention should be paid to increasing existing natural resources and reducing demand and losses. The traditional response to rising demand for water was to store surface water in reservoirs, divert flow to dry regions and withdraw groundwater. Now these methods are increasingly supplemented by water reuse, desalination and rainfall harvesting. Certain regions are even going to the extreme of exploiting non-renewable groundwater resources. Some countries have programs to reduce demand and losses from urban water distribution systems but more efforts are necessary. However, this will involve changes in behaviour requiring education and political commitment. Such efforts to conserve water and reduce demand are not only useful in regions where water is in short supply, they can also bring economic benefits in wetter regions. Our water resources are under pressure. More reliable information is still needed regarding the quality and quantity of available water, and how this availability varies in time and from place to place. Human activities affect the water cycle in many ways, which needs to be understood and quantified to manage water resources responsibly and sustainably. Pollution, water diversions and uncertainties about the abundance of water are threatening economic growth, environment, and health. Underground water is often being overexploited and polluted. To augment water supply, traditional techniques – such as rainwater collection – are now being supplemented by newer technologies like desalination and water reuse. Political support is needed to improve information collection that can in turn enable better decision making about the management and use of water.